We are being prepped by the media for the caravan of migrants crossing through Mexico to arrive at the southern border of the United States just in time for the U.S. midterm elections on November 6, 2018. But that math doesn’t add up right. CNBC calls the caravan “at least 1,000 miles away” on October 24, 2018. This Washington Post piece from Joshua Partlow and Kevin Seiff places the caravan near Huixtla, Mexico, on Tuesday, October 23, 2018. Huixtla is 1,064 miles from the border town of Brownsville, Texas, requiring an 83 miles a day march to arrive by Election Day. Marching at the rate of trained and conditioned U.S. soldiers, twenty miles each day, this group wouldn’t reach Brownsville for 50 days, on December 13, 2018. The migrants aren’t traveling as fast as the U.S. Army though. This CNN report by Catherine E. Shoichet states that the caravan has traveled at a pace of ten miles each day since it has entered Mexico. On foot, the caravan is, in fact, months away from the U.S. border. At the current pace, it would take 100 days to reach the border crossing at Brownsville, which would happen around February 1, 2019. Brownsville, near the southern tip of Texas, is the nearest border crossing to Huixtla. The migrants aren’t likely to head for Brownsville though. Doing so would require them to cross the violent Mexican state of Tamaulipas. Though much farther away, the Tijuana border crossing is the more likely destination, according to this article, stating “The safest route would take them to Tijuana, across the U.S. border from San Diego.” Tijuana is 2,385 miles from Huixtla. At U.S. Army marching speeds they would make it there in 119 days, around February 20, 2019. At the current pace though, which is half that speed, they are still a 238 day march from the U.S. border crossing at Tijuana, meaning they wouldn’t arrive until June 19, 2019. No matter what the media indicates, basic math is enough to poke a hole in the narrative. The reality is, despite being repeatedly shown images of marchers marching, those images are intentionally shown to deceive. No marcher can cross Mexico in two weeks. Trains, buses and trucks will be used, as was the case in the last high profile caravan of migrants to cross Mexico. A lie of omission is certainly still a lie. This selective spin, if told to a friend, would deservedly cause one to be called a liar by that friend. Why would we allow different standards for the media? If the media is lying about how they are traveling, what else are they lying about? 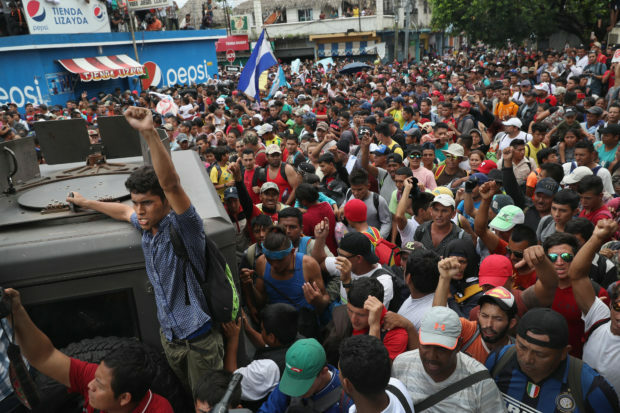 Certainly, the idea that the caravan is 100-percent organic, coincidentally wrapped in a neat package just in time for the elections, is one lie that has gotten scant circumspection in the mainstream. It is very similar to previously well-planned and well-funded publicity stunts involving marching migrants, such as the spring 2018 Pueblo sin Frontera’s migrant caravan. There are no reliable statistics to prove or disprove Lind’s lie, but mainstream photos are useful. 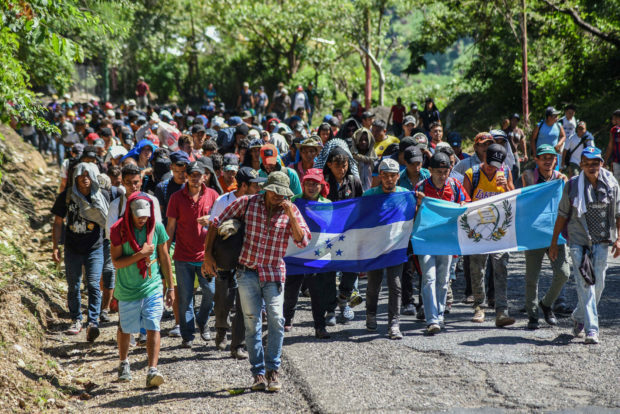 Two key narratives are demonstrated in mainstream photos of the caravan: 1.) It’s mostly women and children and 2.) it’s really big and popular. 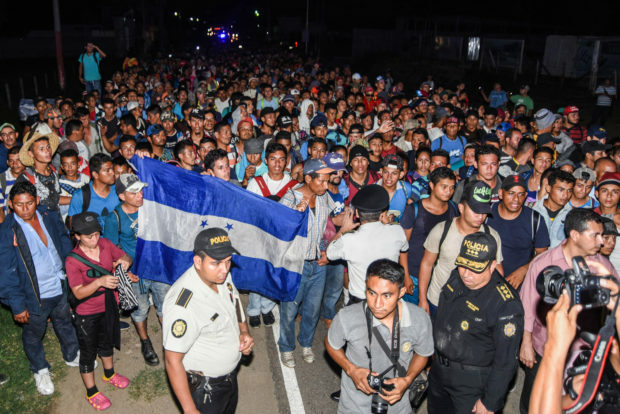 When a photographer is seeking to demonstrate the sheer size of the caravan with a zoomed out photo there is no indication that the caravan is majority women and children. It looks to be 80- or even 90-percent composed of military-age and middle-aged males. Putting the two types of photos side-by-side disproves the women and children narrative. Recognizing the power of the visual, CNN photographers and editors join Dara Lind in perpetuating that lie. In this photo collection accompanying a CNN report by Dakin Andone, Patrick Oppman, and Natalie Gallon, 29 out of the 37 zoomed in photos deceptively show women or children as the focal point. This is not an article titled, “A Look At The Lives of the Brave Women and Children in the caravan”; it is instead intended to be seen as a random sampling of the caravan. With the slightest inspection, these lies are apparent. It’s a shame that any journalist would think so little of their readership. Allan Stevo writes on politics and culture at 52 Weeks in Slovakia. He is the author of the pro-free market book “The Bitcoin Manifesto,” and numerous others.